Color is one of the most important aspects when it’s comes to Offset and Digital printing. Specific colors can evoke a positive, emotional response from clients. Short Run Forms has extensive knowledge of the Pantone Matching System and the entire color printing process. No matter how many colors you need printed, Short Run Forms will make sure your job prints using the colors you select to either match your brand or a previous sample. Need help making an exact color match that appeals to your customers. Use the Pantone Matching System color selector below or contact the Short Run Forms Art Department. Talented graphic designers can help you select a striking color selection for your next print job. These are popular industry standards and your most cost-effective option. 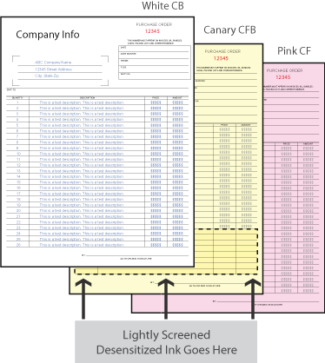 We can print up to 4 spot colors on your form depending on size and specs. *Certain inks are extremely hard to wash off our presses. 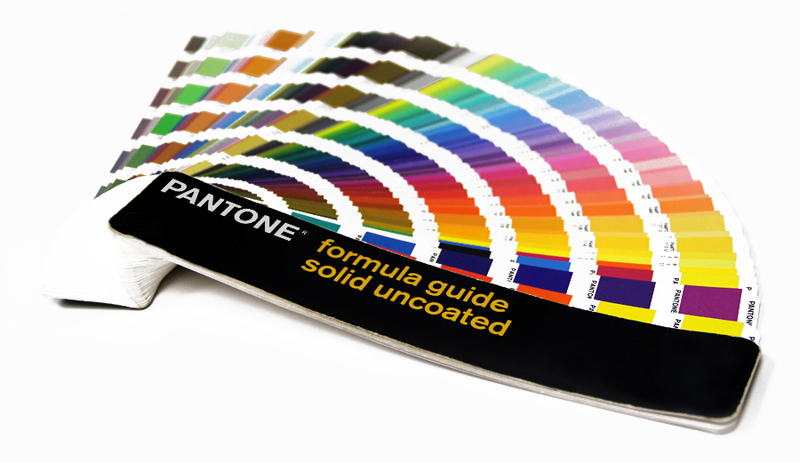 Pantone Matching System colors such as Yellow, Gold or Silver inks will incur an additional charge. Have an idea of a certain color you’re looking for? Check out our interactive Pantone Matching System color search tool. NOTE: This tool is not meant to represent the actual color because RGB (screen) and CMYK (print) are two totally different mediums. This is to give you a rough idea of what color you are looking for. You are welcome to stop in a look at one of our Pantone Matching System books to make a choice also. Drop-off or mail your sample to us and we will match the color requested. We have an advanced process to accurately mix any color for a beautiful recreation of your job. 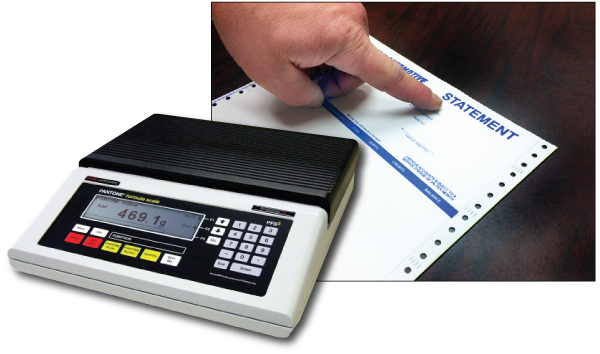 If you are looking to prevent image transfer to a specific area on your carbonless forms, that can be accomplised by using Desensitized Ink. This ink is applied to the front side of your CF and/or CFB paper where image transfer is not desired. The ink caused the CF coating to deactivated or desensitized, preventing an image transfer to take place between the CB and CFB and/or CF papers.